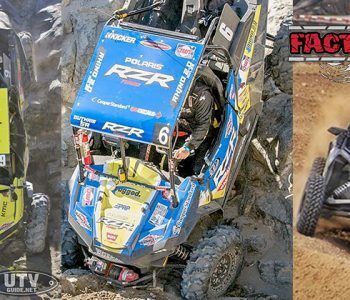 Factory UTV Support racers take Vegas-to-Reno Victory Factory UTV Support racers take Vegas-to-Reno Victory this past weekend. 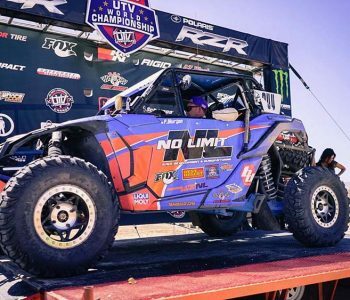 Vegas to Reno is the longest off-road race in the U.S. at 545 miles and a major test of both man and machine. 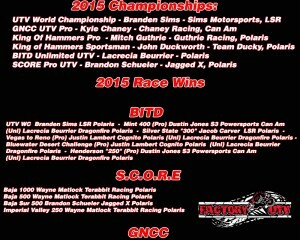 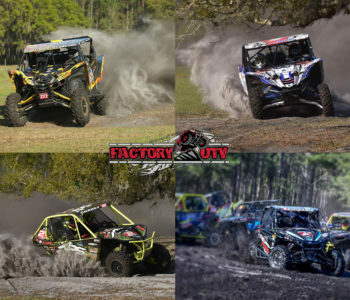 Factory UTV support racers topped the podium in the Pro UTV and Unlimited UTV Classes. 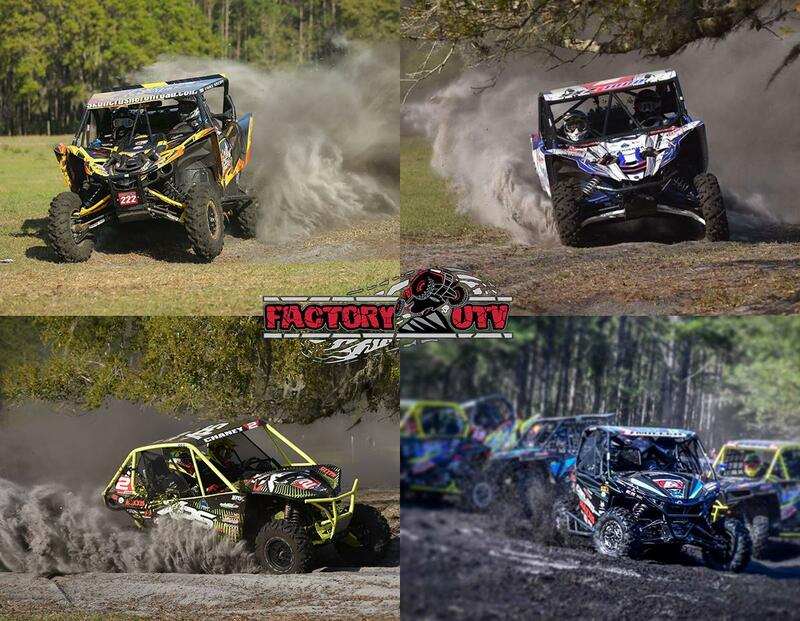 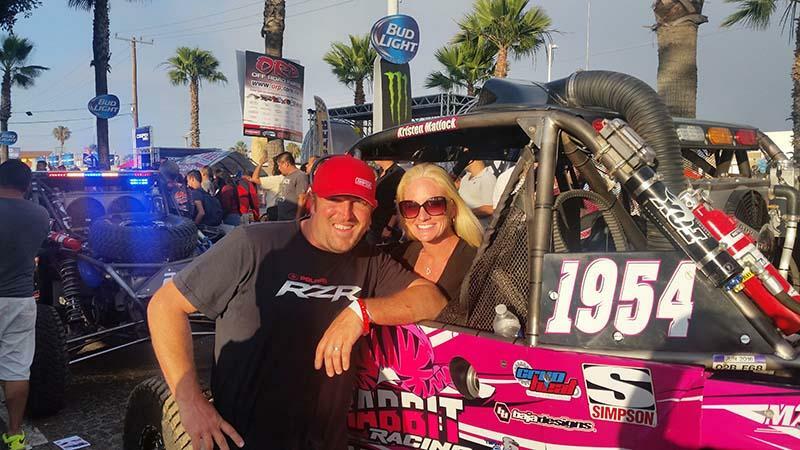 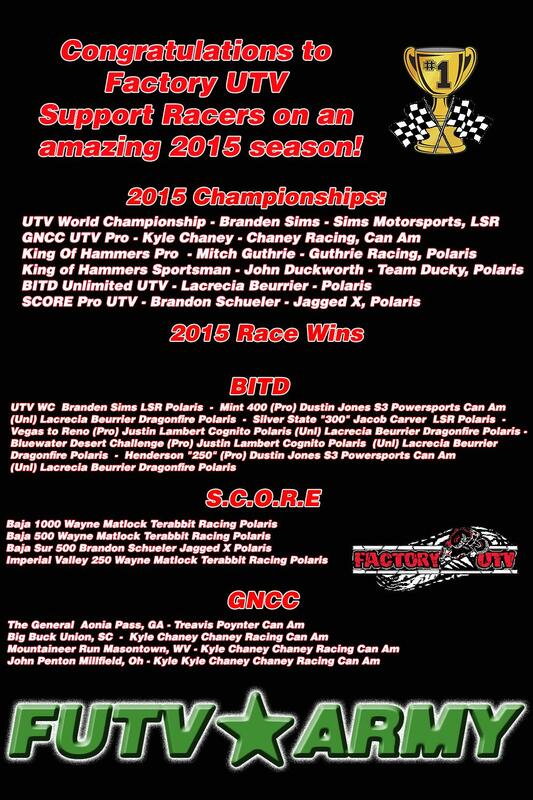 Factory UTV Support racers Lacrecia Buerrier took the Pro Unlimited Class checkers in the 2909 Rockstar Racing RZR. 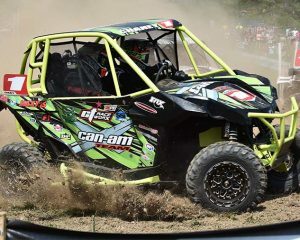 Factory UTV . 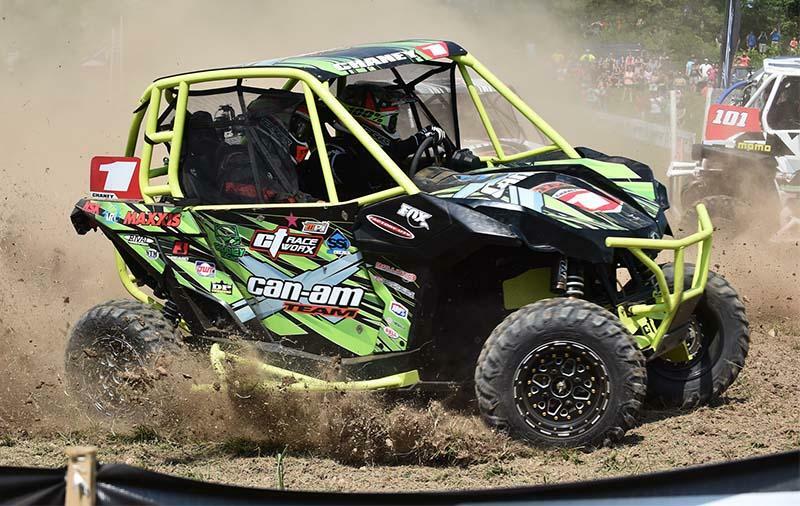 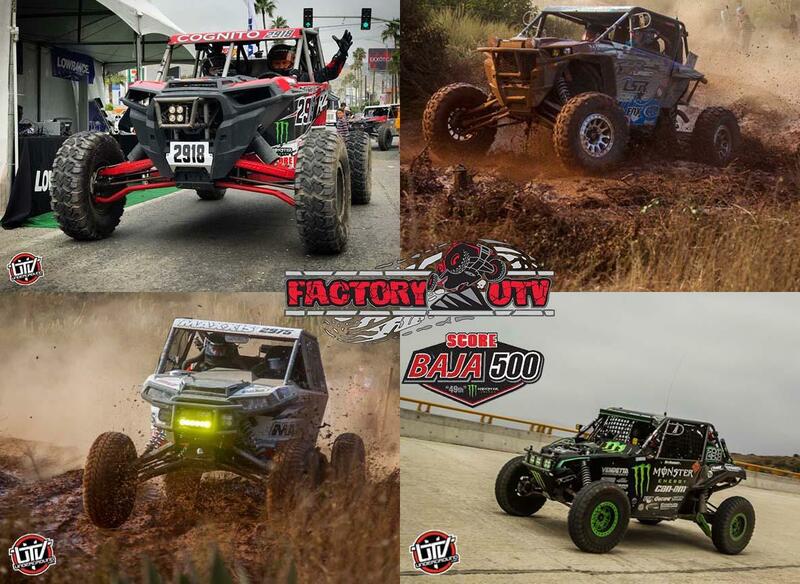 Wayne Matlock takes 2015 SCORE Baja 500 Pro UTV Victory Wayne Matlock takes 2015 SCORE Baja 500 Pro UTV Victory. 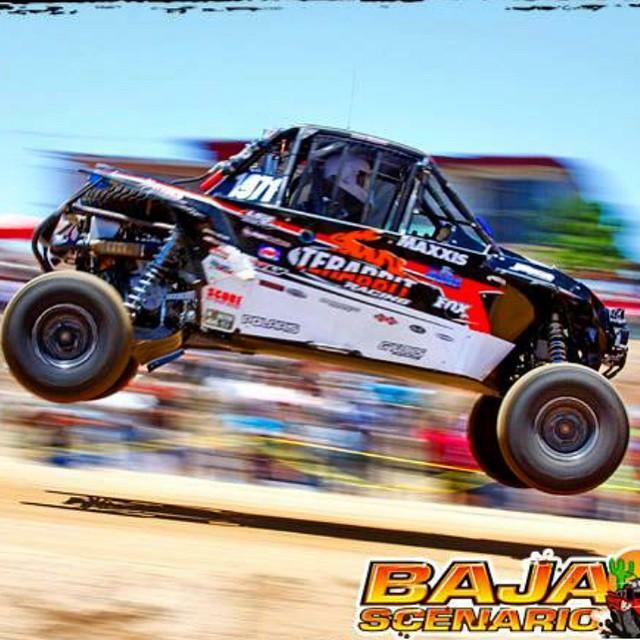 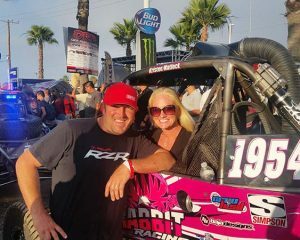 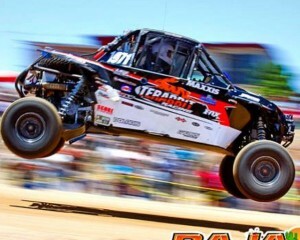 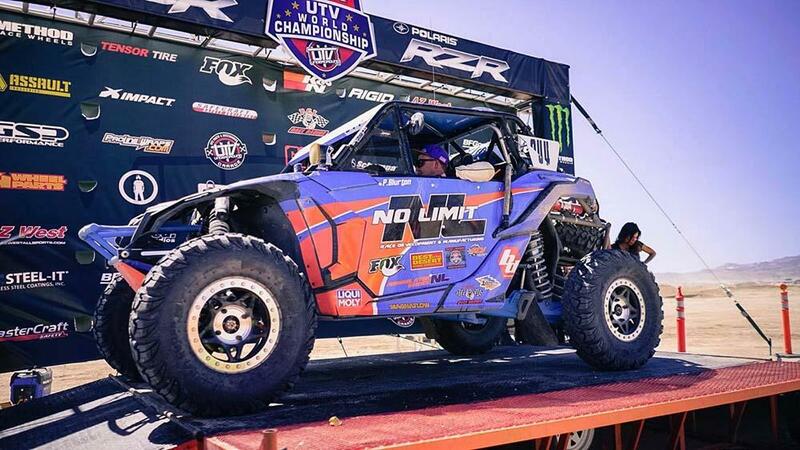 Huge congratulations to to Factory UTV Support Racer Wayne Matlock, taking the Baja 500 Pro UTV Win in his ‪#‎TerabbitRacing‬ Polaris RZR XP4 1000. 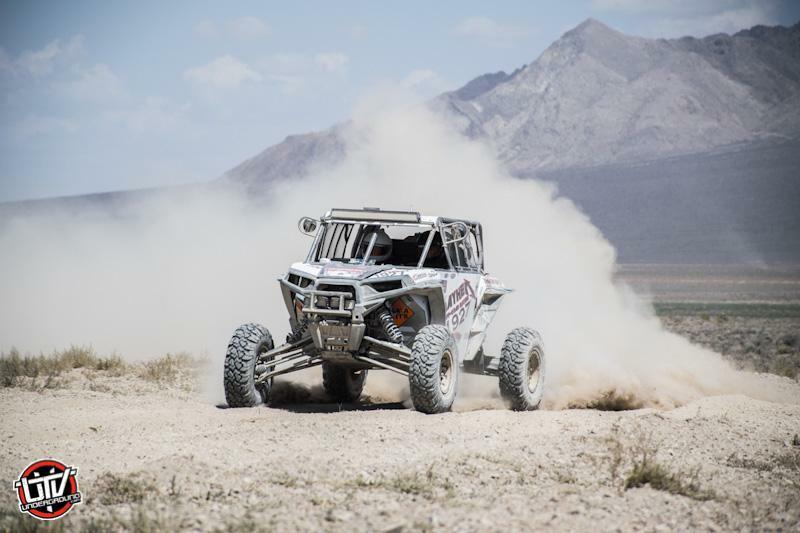 Matlock a multi time Baja Champion on quads took the title in his first BAJA 500 driving a UTV. 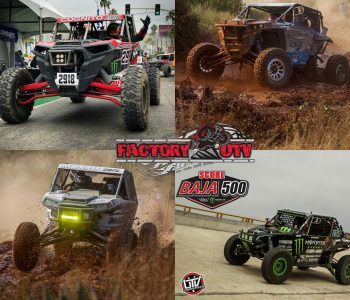 This is the second consecutive BAJA 500 title for a Factory .